Incantation needs no introduction; formed in 1989 they are regarded as one of three leading forces within the New York death metal scene, alongside fellow heavyweights Immolation and Suffocation. During the twenty five years since their inception they have released eight studio albums and are set to unleash their latest work, Dirges of Elysium worldwide during June; with Europe having a release date of 10th June and the US getting their mitts on it two weeks later on the 24th. 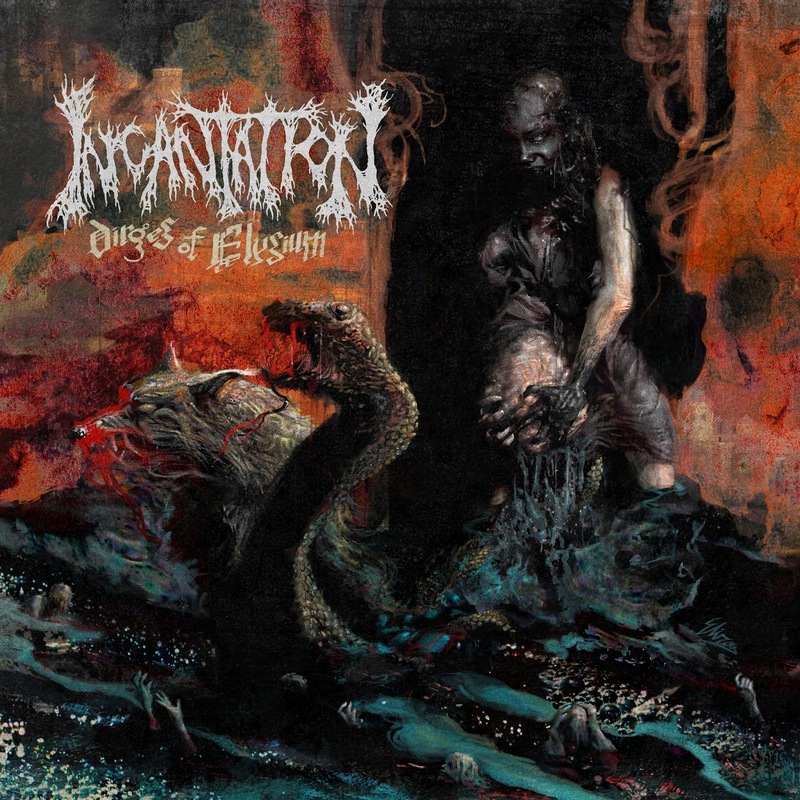 From the release of Incantation’s first album “Onward to Golgotha” they have garnered cult-like status across the globe with many regarding it, and other albums as milestones and sources of inspiration to this day. However, life only started for the band with the release of Onward to Golgotha and eight albums later Incantation remains one of the most influential and important bands within the Death Metal scene - Incantation’s current line up consists of founding member John McEntee, (guitar and vocals) Kyle Severn on drums and Chuck Sherwood on bass with Sonny Lombarozzi assisting with live guitar duties. 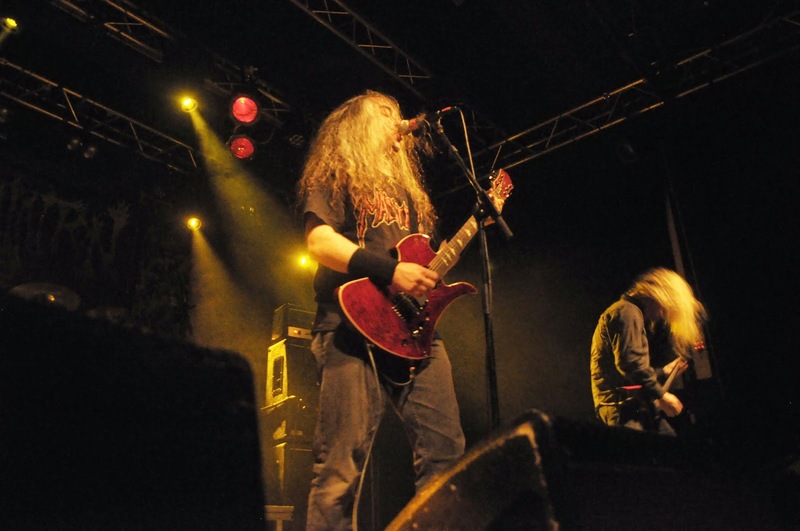 Not only have Incantation toured worldwide growing their own fan base and popularity they have also played an integral role in the exposure and popularity of other bands within the sub-genre by giving groups like Decapitated, Nile, Enslaved and many others their first opportunities to tour with them in the US. Dirges of Elysium is a two minute instrumental that serves as a slow, doomy, introduction to the death metal master class that is set to follow; the pace kicking off in full with second track, Debauchery which is a four minute track that shows us Incantation have lost none of their aggression, power or hunger as they deliver a very solid death metal track. Track four, Carrion Prophecy was the first unveiled online to the world four weeks ago as a taster of the album; it starts with a dirty, churning yet groovy riff and proceeds at a slow pace before quickening the pace and descending into one of the most infectious, head bangingly good riffs on the album; if this track doesn’t stir the spirit of Death Metal in you then nothing will. The album closes with sixteen minute monster Elysium (Eternity is Nigh) which in my opinion is a brave step for any death metal band, sixteen minutes is a long time during which it could become easy to bore a listener – but this is far from the case with this track; starting at a slow pace with McEntee’s demonic, guttural vocal it sees Incantation at their bleakest and doomiest for close to seven minutes before the riffs return sparking more menace and evil as the twisted lead guitar work drags you further into this sixteen minute opus. The pace gradually builds as the track progresses but continues to dip in and out of slower paced sections, reaching a peak during the last few minutes when Severn’s drumming builds the tempo in dramatic fashion towards its distortion heavy ending – another fantastic track and musically ambitious way to finish an album. From beginning to end this album is interlaced through and through with more than enough moments of sheer brilliance, aggression and originality to silence even the most determined of naysayers and is certainly an album that will place very highly in many people’s end of year lists - this is not a band dragging its legacy through the mud by flogging a dead creative horse nor is it a band that’s trying too hard to sound like previous glories - this is a band on a mission, a band showing with well-placed bravado that it’s passion and creativity are far from exhausted. If Incantation continues to release albums of this calibre they’ll thankfully be about for a long time to come - not only is this one of the hardest working bands on the planet they’re also one of the best and the contribution they have made and continue to make within the Death Metal sub-genre is second to none – long live Incantation!